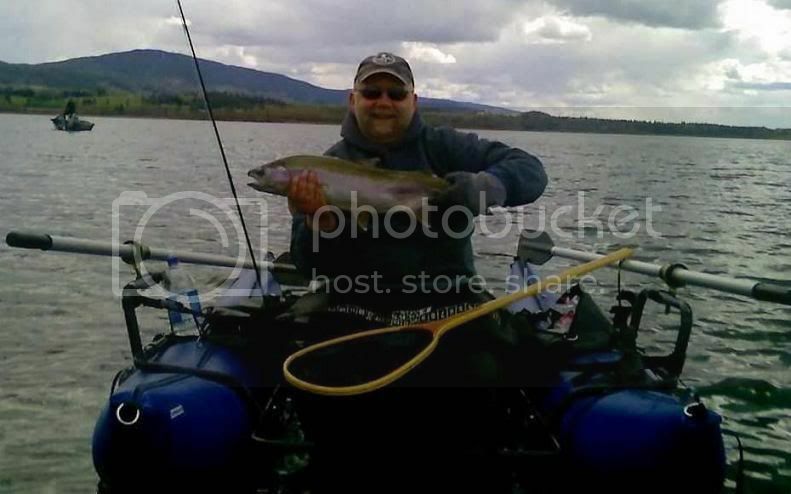 This past weekend the annual FlyBC spring FishIn was held in my home town of Quesnel at Dragon Lake. 65 members and their families from BC, Alberta and Washington State made the long trip to partake in the big Rainbows Dragon Lake has to offer. Not to mention the fun, friendships (both old and new) of the event in general. That is one nice fish - cell phone picture or not! Congratulations.